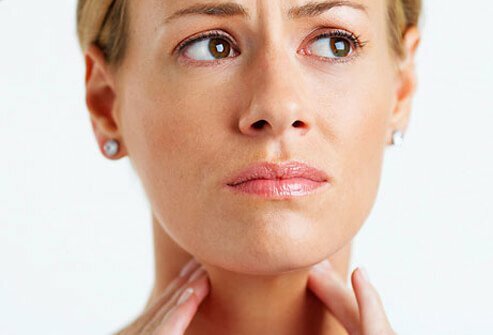 What is laryngitis (laryngeal inflammation)? What kinds of doctors treat laryngitis? What is the treatment for laryngitis? Are there any home remedies to soothe and cure laryngitis? What are the complications of laryngitis? 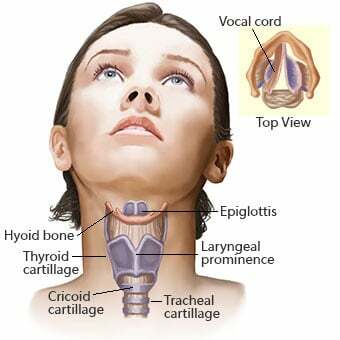 Laryngitis is an inflammation of the voice cords in the voice box (larynx). 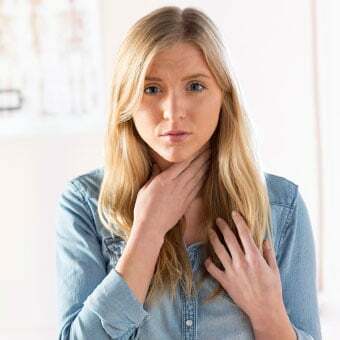 Causes of laryngitis include upper respiratory infection or the common cold; overuse of the vocal cords by talking, singing, or shouting; gastroesophageal reflux disease (GERD) causing reflux laryngitis; smoking; exposure to secondhand smoke; or exposure to polluted air. Laryngitis is contagious if it is caused by an infection. The most common signs and symptoms of laryngitis are hoarseness, loss of voice, and throat pain. 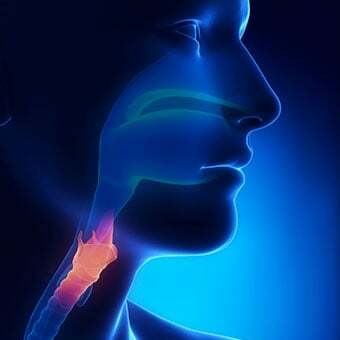 Additional signs and symptoms of laryngitis in adults may include dry, sore throat, pain with swallowing, and a feeling of fullness in the throat or neck. If the laryngitis is caused by an infection, the affected person also may have symptoms of fever, swollen lymph nodes (swollen glands). Additional signs and symptoms of laryngitis in infants or children are associated with croup and include a hoarse barky cough and fever. Laryngitis is considered chronic when signs and symptoms of last longer than three weeks. Chronic laryngitis may be caused by gastroesophageal reflux disease, smoking, constant exposure to secondhand smoke, air pollution, or alcohol use. Chronic inflammation due to laryngitis may cause the formation of nodules or polyps on the vocal cords. Treatment of laryngitis is usually symptomatic with voice rest, humidified air, and natural and home remedies for symptom relief. If signs and symptoms of laryngitis persist for more than three weeks or continue to recur, make an appointment with a doctor. Complications of laryngitis from GERD include pneumonia, chronic bronchitis, and vocal cord paralysis. Laryngitis is defined as inflammation of the voice box or larynx, which results in voice changes, for example, hoarseness or complete loss of the voice. Laryngitis is inflammation of the vocal cords located in the larynx or voice box. The larynx is the voice box that allows us to speak, shout, whisper, and sing. The larynx consists of a cartilage skeleton that houses the vocal cords, which are covered by a mucus lining. Muscles inside the larynx adjust the position, shape, and tension of the vocal cords, allowing the voice to make different sounds like whispering, singing, and shouting. Any change in the airflow (which is generated by the lungs exhaling air) across the vocal cords will affect the voice and the quality of the sound. The larynx is located at the junction of the mouth and trachea (where air enters the e lungs). There is a flap-like covering called the epiglottis, whose job it is to prevent food and saliva from entering the larynx during swallowing. Laryngitis is an inflammation of the voice box and vocal cords, causing a person to lose their voice and become hoarse. The quality of the voice becomes gravelly-sounding and sometimes too quiet or soft to hear. Because there is inflammation, throat pain is often an associated symptom. There are a number of different causes of acute and chronic laryngitis. Acute laryngitis is most commonly caused by a viral infection that inflames the vocal cords. It also may be caused by voice overuse with excess talking, singing, or shouting. Gastroesophageal reflux disease (GERD) may cause reflux laryngitis and chronic cough. Sometimes people are aware of the presence of the acid and experience waterbrash, a sour taste in their mouth. Repeat spills of acid onto the vocal cords will cause a chemical irritation and result in inflammation and swelling of the cords that hinders appropriate vibration and generation of sound. This reflux may cause a persistent cough. Chronic irritation of the vocal cords also may cause polyps or nodules to form on the vocal cords, which may affect the ability of the vocal cords to vibrate causing chronic hoarseness. Stroke may cause vocal cord muscle paralysis and lead to a weak, hoarse voice, and swallowing problems. Damage to the muscles or to the nerves that control them may lead to hoarseness. These nerves may be damaged if there has been trauma to the neck or if surgery has been performed and the nerves inadvertently irritated or severed. Tumors in the neck and chest may compress the nerves and cause them to function poorly. Thyroid inflammation and enlargement can also cause irritation of nerves that supply the vocal cord muscles. Not all individuals who have lost their voice have an infection. Not all hoarseness is due to a primary inflammation of the vocal cords. 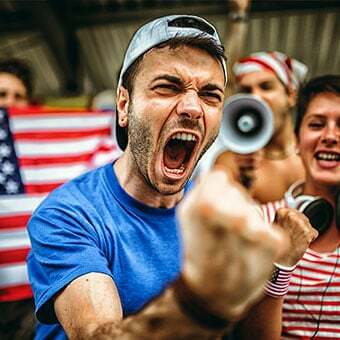 Diphtheria and pertussis may cause laryngitis-like symptoms, but because most people in the United States have been immunized, these are very uncommon causes. However, with primary immunization decreasing, and people failing to keep their immunizations up to date, there have been a few sporadic outbreaks reported. Hoarseness, loss of voice, and throat pain are the primary symptoms of laryngitis in an adult. 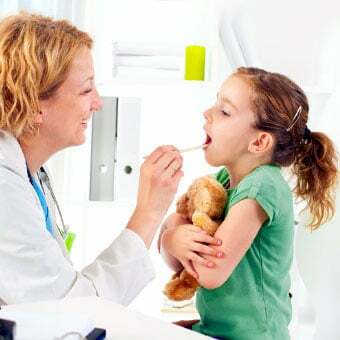 In infants and young children, laryngitis often occurs along with inflammation of the trachea and bronchial tubes. This is known as croup. Because these structures have yet to fully develop, the inflammation may make it harder for air to pass through the upper airways, leading to the classic "seal-like" barky cough called stridor that is associated with croup. In infants and children with croup, breathing becomes more difficult. As the child tries to inhale through a swollen and narrow larynx, the cartilage may collapse, just like when attempting to breathe through a straw. As we age, the cartilage becomes stiffer and is able to withstand deeply indrawn breaths, but in children, the cartilage is weaker and with each inspiration, the child may need to work hard to inhale. The maturing of laryngeal cartilage and widening of airways usually occurs by age 6 or 7. In infants and children with croup, breathing may become more difficult. As the child inhales through a swollen and narrow larynx, the tissues surrounding the upper airway may collapse, just like when attempting to breathe through a straw. This leads to the classic "seal-like" barky cough associated with croup. When the cause of laryngitis is not infectious, cough may be a significant symptom along with the hoarseness. There also can be a fullness felt in the throat. The patient also may complain of difficulty swallowing and have shortness of breath. Rarely, the patient can cough up blood-tinged saliva if the inflammation causes minor bleeding. Laryngitis is only contagious if it is caused by an infection. Laryngitis, upper respiratory infections, and colds are commonly a contagious viral infection spread by aerosol droplets. Disease transmission can be minimized or prevented by covering the nose and mouth when coughing and sneezing, and proper hygiene habits (wash your hands often, don't share food utensils, and wipe down door handles). Laryngitis is self-limiting and should last for only a few days, and symptoms should resolve within 7 days, but can linger up to two weeks. If symptoms persist longer than three weeks, this is considered chronic laryngitis and causes other than a viral infection need to be explored. Croup is often described as a disease of the nighttime because visits to the emergency department peak after midnight with sick infants and children. The health-care professional often can make the diagnosis of laryngitis in the doctor's office with little testing required. The history of upper respiratory tract infection associated with loss of voice is reinforced by the patient answering questions in a hoarse voice. The examination is often brief and limited to the ears, nose, and throat, looking for other potential causes of the cold-like symptoms. If the throat is red and there is a concern about a streptococcal throat infection (strep throat) a throat swab for a rapid strep test may be ordered. If the hoarse voice becomes chronic, the health care professional may want to take a more detailed history, trying to learn why the larynx has remained inflamed for such a long time. Diet, use of alcohol, aspirin, ibuprofen, and smoking, all of which may cause gastroesophageal reflux disease. Alcohol and smoking can irritate the vocal cords. Work and hobbies may reveal evidence of repeated chemical inhalation and exposure to air pollution. Repeated use of asthma inhalers may cause chronic inflammation of the vocal cords. Any signs or symptoms that suggest the potential of thyroid disease, stroke, or cancers of the head and neck will be explored. Most cases of laryngitis need no testing to confirm the diagnosis. 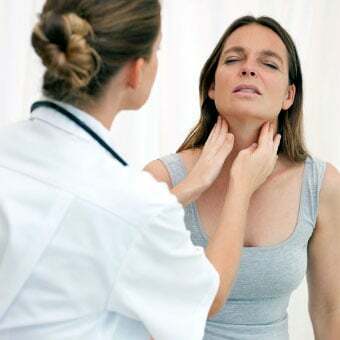 In those patients with chronic laryngitis, the necessity for blood tests, X-rays and other diagnostic tests will depend upon the patient presentation and the potential concerns that the health care professional has regarding the cause of the hoarseness. Laryngoscopy is the most common test performed to look directly at the vocal cords and evaluate their function. This procedure uses a thin tube containing a lighted fiber optic camera that is inserted through the nose into the back of the throat. The health care practitioner performing the procedure can see whether the vocal cords are inflamed, if there are any polyps or nodules growing on them, and if the vocal cords move appropriately with breathing and speaking. This test is often performed by an otolaryngologist (ear, nose, and throat specialist), but many other physicians and specialists are trained to perform direct laryngoscopy. Indirect laryngoscopy may be attempted using a mirror placed in the back of the throat to visualize the vocal cords. Laryngitis most is often first evaluated by a primary care provider including internists, pediatricians, and family medicine specialists. Since most often the illness is self-limited, no further treatment is usually required. When laryngitis persists, otolaryngologists (ear, nose and throat (ENT) specialist), gastroenterologists, or emergency department doctors may be consulted. As with any other structure in the body that becomes inflamed, rest is the key to recovery. For laryngitis, this means resting the voice and limiting the amount of talking. If talking is required, the person should speak in a regular voice and avoid whispering, regardless of how it sounds. Whispering requires the vocal cords to be stretched tightly and requires more work by the surrounding muscles, and this delays recovery time. Dexamethasone as a single dose given orally (Decadron, DexPak) or by intramuscular injection (Adrenocot, CPC-Cort-D, Decadron Phosphate, Decaject-10, Solurex) may be used to treat croup. Patience is required to allow time for the vocal cords to rest and recover. The treatment of chronic laryngitis will be determined by the cause of the inflammation or loss of function; however, avoiding alcohol and not smoking will help relieve symptoms in the meantime. It is reasonable not to seek medical care for most cases of laryngitis. Home treatment begins with resting the voice and keeping well hydrated. Symptoms may be controlled by exposure to humidified air. Often, the bathroom is the best place to create a highly humidified area. 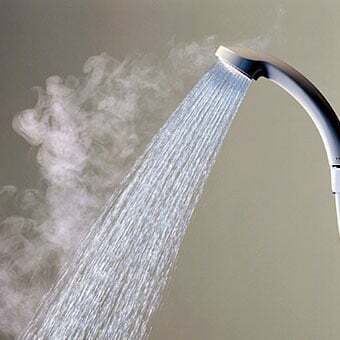 Turn on the hot water in the shower until there is plenty of steam. Make certain that all the hot water is drained from the tub or shower to prevent the risk of scalding burns. Spend 15- 20 minutes breathing the warm moist air to help with symptoms. A cold water vaporizer also may be used to help with humidity. Avoid hot water vaporizers because of the risk of scalding burns. Stay well hydrated, especially if the pain makes it difficult to swallow fluid. Warm water gargles may be soothing. Alternatively, popsicles may offer comfort. Tylenol and/or ibuprofen may be helpful in decreasing the amount of pain. If the cause of laryngitis is vocal cord paralysis, the swallowing mechanism may also be affected, and food particles may enter the larynx and lungs, leading to coughing. This process can also lead to aspiration pneumonia and its accompanying symptoms (fever, cough, shortness of breath) when the food is aspirated deep into the lungs and causes irritation and inflammation of lung tissue. Repeated episodes of gastroesophageal reflux may cause small amounts of acid to get past the inflamed larynx and enter the lung, causing recurrent pneumonia or bronchitis. Prior to the advent of Haemophilus influenzae immunization, epiglottitis due to H. flu was always considered as a possible alternative diagnosis for children with croup. This was a life-threatening medical emergency because the epiglottis could massively swell, blocking air from entering the larynx and lungs. X-rays of the neck were taken to visualize the epiglottis and look for swelling. The diagnosis was often confirmed in the operating room where the otolaryngologist and anesthesiologist would use laryngoscopy to look at the epiglottis and vocal cords and decide whether to insert a breathing tube in the child's airway to prevent the airway from swelling shut. Fortunately, because of immunization, this disease is rarely seen. Please describe your experience with Laryngitis. What was the cause of your laryngitis? Have you ever lost your voice from talking too much or singing? What were your symptoms associated with laryngitis? What were the symptoms associated with laryngitis in your baby or child? What types of treatment, including medication, did you receive for your laryngitis? Please share tips and home remedies for treating the hoarseness of laryngitis.